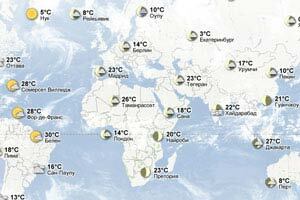 When is the Warmest Sea for Obzor? According to our data for the last three years for Obzor the highest average sea water temperature was in August, July and September. The average sea surface temperature in August 2018 for Obzor was 82.4°F. The maximum and minimum values were 81.4°F and 83.6°F respectively. The average sea surface temperature in July 2018 for Obzor was 79.9°F. The maximum and minimum values were 76.4°F and 82.0°F respectively. The average sea surface temperature in September 2018 for Obzor was 78.3°F. The maximum and minimum values were 73.0°F and 81.6°F respectively.